Fairtrade International congratulates Rainforest Alliance and UTZ on their recently announced merger. In particular, the further lessening of compliance and auditing demands for farmers and workers currently certified under the two schemes. “On behalf of the entire Fairtrade system, I want to congratulate everyone in both Rainforest Alliance and UTZ, wishing them great success over the coming months as they integrate their operations. “I would like to reiterate our interest and willingness to work closely with the new organization to improve the livelihoods of workers and farmers across different supply chains,” said Dario Soto-Abril, Global CEO of Fairtrade International. Fairtrade, Rainforest Alliance and UTZ have a long history of collaboration and sharing knowledge. All three are founding members of the ISEAL Alliance, the independent verifier of credible sustainability standards. Together these organisations advocate for the benefits of robust and independent certification, particularly as larger businesses are increasingly looking at establishing their own in-house sustainability initiatives. Fairtrade remains focused on improving the lives of farmers and workers by ensuring fairer prices and better trading conditions around the globe. This approach gives ownership and decision-making power to the producers with whom Fairtrade works. This makes the organisation unique across all sustainability standards. 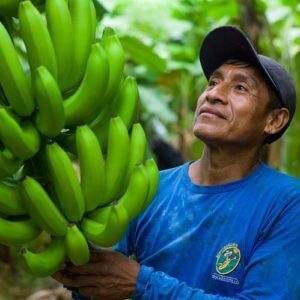 Fairtrade International looks forward to bringing this vision of inclusive development and fairer supply chains to future collaboration with Rainforest Alliance and other schemes.